Now, Dr. Heath Hendrickson or Dr. 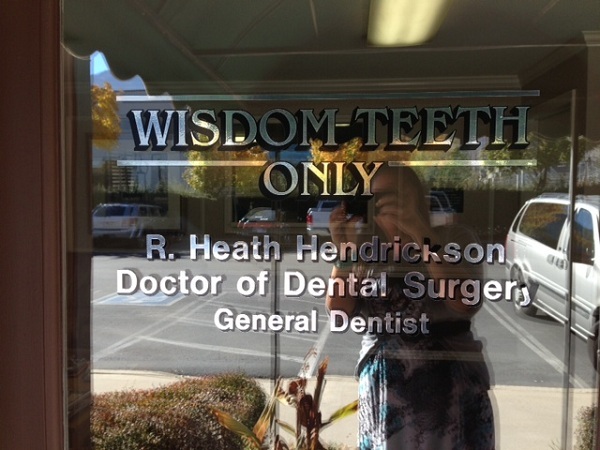 Wisdom Teeth has released a new radio ad that very clearly states that he is NOT an oral and maxillofacial surgeon. Will this be enough to satisfy the oral surgeons of Trooth.Com? How about the outside window of Dr. Hendrickson’s office where picketers have again demonstrated this morning? Well, I plan to ask the oral surgeons for their thoughts and comments. 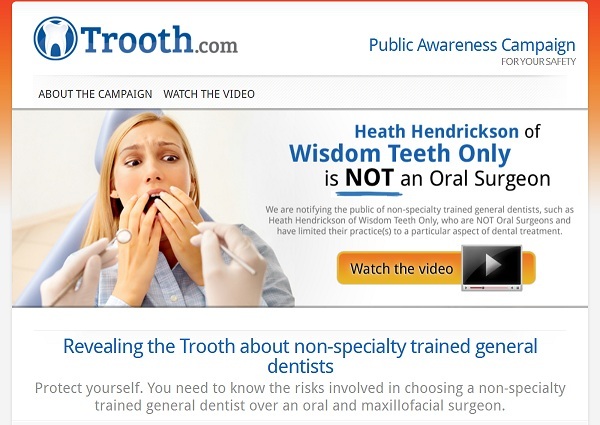 If the Trooth.Com Board is concerned with Dr. Hendrickson’s marketing/advertising and that the public would be confused whether he is an oral and maxillofacial surgeon or not, then this seems to be corrected.